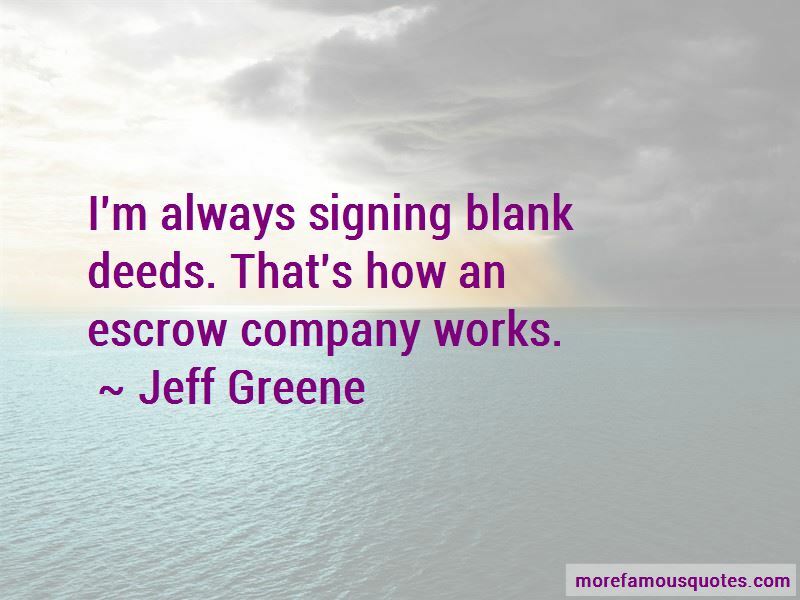 Enjoy reading and share 5 famous quotes about Escrow with everyone. “Tiffany got up early and lit the fires. When her mother came down, she was scrubbing the kitchen floor, very hard. "Er ... aren't you supposed to do that sort of thing by magic, dear?" said her mother, who'd never really got the hang of what witchcraft was all about. "No, Mum, I'm supposed not to," said Tiffany, still scrubbing. "But can't you just wave your hand and make all the dirt fly away, then?" 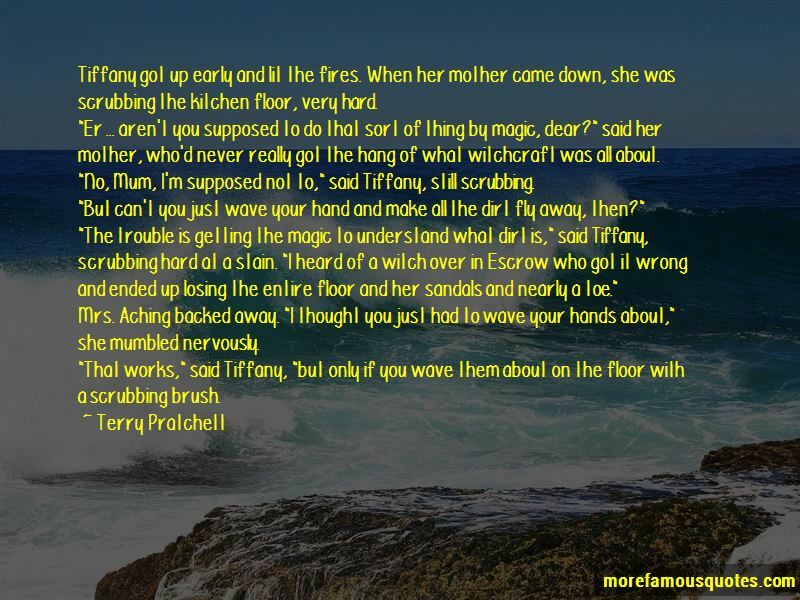 "The trouble is getting the magic to understand what dirt is," said Tiffany, scrubbing hard at a stain. "I heard of a witch over in Escrow who got it wrong and ended up losing the entire floor and her sandals and nearly a toe." Mrs. Aching backed away. "I thought you just had to wave your hands about," she mumbled nervously. Want to see more pictures of Escrow quotes? 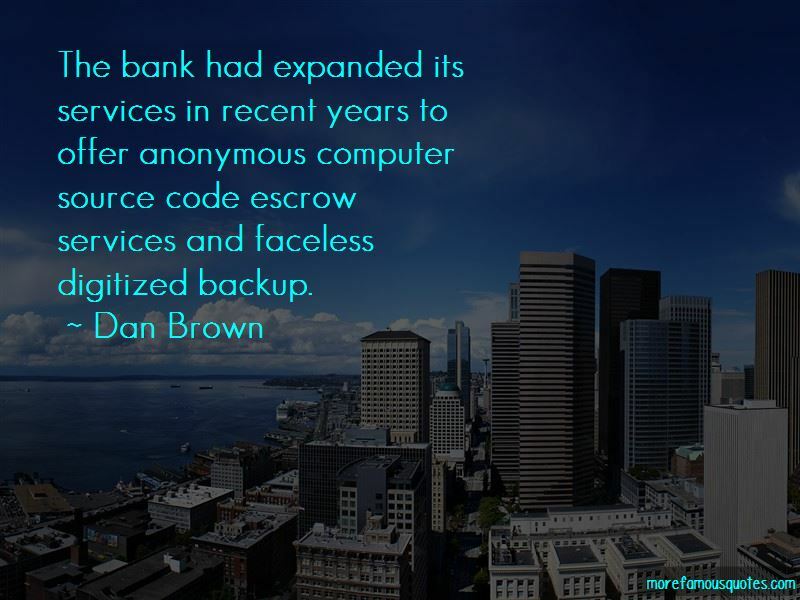 Click on image of Escrow quotes to view full size.